Lifeguards will soon be patrolling 16 beach locations across the Coast, when beach patrol season officially commences on Saturday, September 29. Central Coast Council lifeguards and Surf Life Saving volunteers provide search and rescue services for patrolled beaches, as well as emergency medical care when required. Lifeguards will be returning to the following beaches across the former Wyong LGA: Lakes Beach, Soldiers Beach, The Entrance North and The Entrance Beaches, Toowoon Bay, Shelly Beach and Budgewoi Beach (Christmas school holidays only). Lifeguards will also be patrolling the Grant McBride Ocean Baths at The Entrance seven days a week during patrol season. Lifeguards will be on the sand from 9am to 5pm from September 29 until December 16 and in peak holiday times from December 17 until February 1, 2019, Lifeguards will be on duty until 6pm. 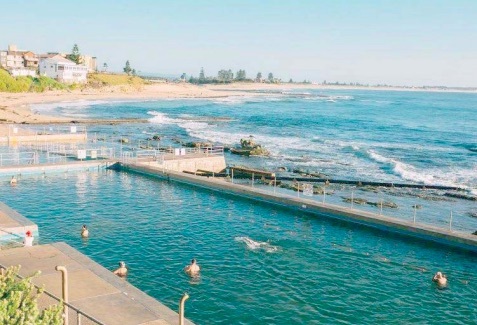 The Grant McBride Ocean Baths will be open from 6am during the summer season but lifeguards will not commence patrol until 9am. To ensure everybody can enjoy the surf and sand, Lakes, Soldiers, Toowoon Bay and Shelley Beach Surf Clubs will have beach wheelchairs available from the local surf club.